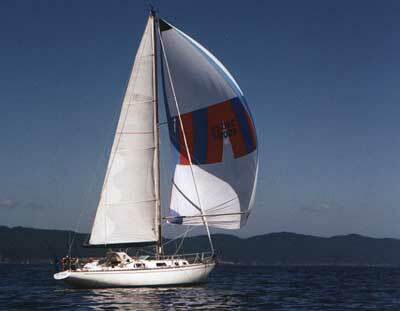 Depending on your requirements, you can choose from a number of sailing courses and cruising itineraries. These are designed to optimize the sailing experience for a given amount of time spent on board. Select from a few hours to 10 days or more, sedate cruising, or more energetic adventure travel. We work hard to accommodate your time frame and meet your objectives. No previous boating experience is necessary to come on board, only the desire to enjoy the experience. 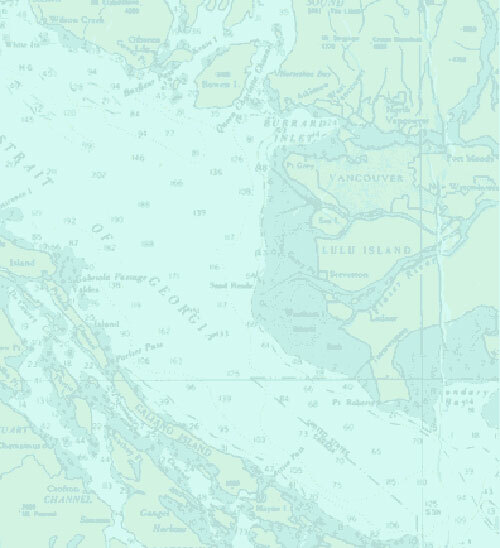 As a member school of Sail Canada, formerly the Canadian Yachting Association (CYA), we offer training for the CYA Basic, Intermediate and Advanced cruising qualifications, Coastal Navigation and the Coast Guard Pleasure Craft Operator Card. Succesfull students will be awarded the relevant certificate. Your host and instructor is Colin Campbell, who has sailed local waters for over 20 years. Colin has made crossings of both the Atlantic and Pacific Oceans, and cruised extensively in Western Europe and the Caribbean. Interests in diving, photography, cooking, singing, fishing and wildlife round out the sailing resume. "...a great time, and safe, thorough instruction are what we're here to deliver." We're conveniently located in Coal Harbour, Vancouver, Canada near the downtown core and Stanley Park. Overnight trips usually commence Monday, 8:30am for trips of 5 days or more. If preferred, we can leave around 6:00pm on Sunday evening. For 3 day trips departure can be arranged for Thursday or Friday evening at 6:00pm. Book early to obtain best possible dates. "Agua Verde", is an Ohlson 38 offshore cruiser/racer which comfortably accommodates a crew of five. Richard Henderson, well known American author of more than a dozen books on yachts and yachting, refers to the design as his personal favourite. British yachtswoman and novelist, Claire Francis, might agree. Sailing a sister ship, Claire won the ladies' trophy in the 1976 Single-handed Transatlantic Race. She finished 5th overall against a field of over 100 competitors, some of them sailing the latest purpose built racing machines of the day. Her book "Come Hell or High Water" is a great read. She's a joy to sail, has a "real boat" feel, and turns heads wherever she goes. Cabin Heater, shower and W.C.
Furling headsails, full spinnaker gear. GPS, Radar, VHF and Autopilot. Inflatable tender and O/B motor. 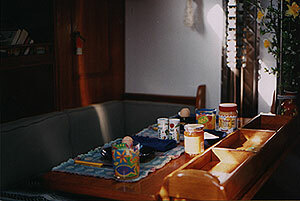 Nautical Library & CD player. Four is the ideal number of guests per boat. If your group is larger than this, we'll accommodate the party in two or more vessels, and travel in tandem with skippers like veteran Cap'n Jim and other fine yachts like the Valiant 40. P. Smit, BC (Performance dinghy sailor).